Much of the content of this post is taken from my 47th letter to President George W. Bush, dated July 17, 2002. These thirteen years later, the opportunities of which I then wrote have passed from that President. Still, this piece expresses my patriotism--a kind of patriotism that tends to get ignored in power brokers' obsessions with hubris, militarism, and reductionistic labeling. BEYOND HYPED-UP PATRIOTIC FERVOR. 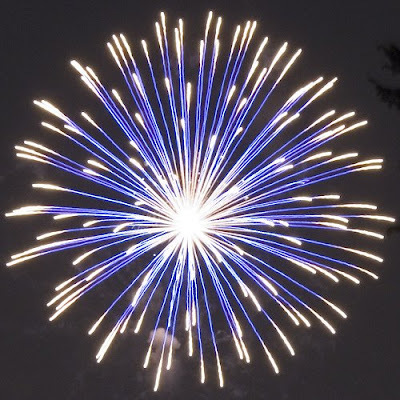 Ever since the terrorist attacks in New York City on September 11, 2001 and the state of war that President Bush declared, I've noticed that the Fourth of July has been celebrated with heightened emphasis. More flags fly, more fireworks flower, and everything considered American and patriotic is trumpeted to the nth degree. This July 4th holiday gives me an opportunity to frame hard-won freedoms beyond typical images and reflect on the weight of freedom’s future. SOMETHING OF A GRAND DREAM. I think it is clear that American independence and patriotism in defense of democracy is something all but a twisted handful of people in the world salute. Few have been able to pull off and hold together what America has accomplished. America, even now, is something of a grand dream of freedom and democracy at so many levels it is impossible to separate them and still see the vision. DRAIN AWAY SOURCES OF RESENTMENT. As America has repeatedly searched its own soul to extend fairness and freedom to its own disenfranchised residents, let us search our hearts once again. Let us think through to the legitimate sources of pain, anger, and resentment that have led to a level of angst that produces terrorism. And let us consider what we can do to drain away such anger by policies and actions that befit the richest, most free, democracy-loving nation in the world. Let us struggle to cultivate, again, a freedom that is noted for character, understanding, fairness, and compassion.